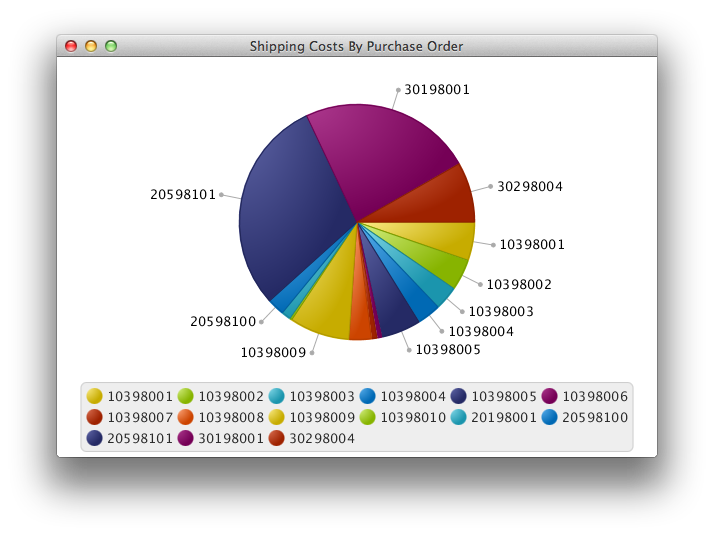 I saw an example of a Pie Chart using JavaFX. I thought that it looked really nice and I wondered how easy it would be to do using JPA 2.0, an example Apache Derby DB included in NetBeans, and NetBeans 7.2. Well the first iteration took about 10 minutes, and the tweaking took another 15 minutes. Basically, if you asked me to do it again, I bet I could do it in under 5 minutes. My output looks really cool too. I saw an old post using JavaFXScript to create a similar output which was used in JSF. I am wondering if I can do the same thing using version 2.2 of JavaFX, or if I should wait until the HTML libraries are complete. your app working great but it is only work with the desktop application. Do you have any idea of to make it run on the web or by using the javawebstart? Your code is great and it also run and show up great with the windows application buy I wonder how to run it on the web or using java WebStart. I always got an error when I try to run on the browser. I've try Chrome, Firefox, IE. But it all are not work and I always got an error and display nothing. I have not tried either. I was waiting for the functionality to be complete for the Mac before I gave it a try. I understand that the functionality for Webstart is available in Windows right now.